At Planet, we have a 5-Day, 250 mile money back guarantee; If for any reason you're not satisfied with the vehicle, you can exchange or return for a full refund. 2004 Honda Civic LX 1.7L I4 SMPI SOHC VTEC 5 day, 250 mile money back guarantee, NO DEALER HANDLING FEE, Clean CarFax, +35 MPG, ALL BOOKS AND KEYS. Priced below KBB Fair Purchase Price! Clean CARFAX. Awards: * 2004 KBB.com Best Resale Value Awards * 2004 KBB.com 10 Best Used Cars Under $8,000 For more information, visit www.kbb.com. Kelley Blue Book is a registered trademark of Kelley Blue Book Co., Inc.
At Planet, we have a 5-Day, 250 mile money back guarantee; If for any reason you're not satisfied with the vehicle, you can exchange or return for a full refund. 2005 Honda Civic Hybrid 1.3L I4 SOHC 8V VTEC Clean CarFax, +35 MPG, ALL BOOKS AND KEYS. Clean CARFAX. WHY PLANET: - 5-day, 250-mile money back guarantee - Negotiation-free pricing - Never pay dealer handling or "doc fees" - Our sales staff is paid a salary - not a commission - Take a 24-hour test drive - All new cars receive their first oil change for free at Planet. 2002 Honda Accord LX 2.3 2.3L I4 SMPI SOHC Odometer is 56095 miles below market average! Clean CARFAX. CARFAX One-Owner. At Planet, we have a 5-Day, 250 mile money back guarantee; If for any reason you're not satisfied with the vehicle, you can exchange or return for a full refund. 2004 Jeep Grand Cherokee Laredo PowerTech 4.0L I6 5 day, 250 mile money back guarantee, NO DEALER HANDLING FEE, Clean CarFax, ALL BOOKS AND KEYS. Clean CARFAX. At Planet, we have a 5-Day, 250 mile money back guarantee; If for any reason you're not satisfied with the vehicle, you can exchange or return for a full refund. 2003 Honda CR-V EX 2.4L I4 SMPI DOHC 5 day, 250 mile money back guarantee, NO DEALER HANDLING FEE, Clean CarFax, Sunroof/Moonroof. Clean CARFAX. At Planet, we have a 5-Day, 250 mile money back guarantee; If for any reason you're not satisfied with the vehicle, you can exchange or return for a full refund. 2006 Subaru B9 Tribeca 5-Passenger 3.0L H6 DOHC 5 day, 250 mile money back guarantee, NO DEALER HANDLING FEE, Clean CarFax, Heated Seats, Leather, Sunroof/Moonroof, ALL BOOKS AND KEYS. Clean CARFAX. Clean Carfax, Heated Seats, Leather, All Books and Keys!. Stone Gray Metallic 2008 Buick LaCrosse CXL 4-Speed Automatic with Overdrive FWD Odometer is 11880 miles below market average! At Planet, we have a 5-Day, 250 mile money back guarantee; If for any reason you're not satisfied with the vehicle, you can exchange or return for a full refund. One Owner, Heated Seats, Leather, All Books and Keys!. Bright Silver Metallic Clearcoat/Black Cloth Top 2005 Chrysler PT Cruiser GT 4-Speed Automatic FWD Odometer is 23836 miles below market average! CARFAX One-Owner. At Planet, we have a 5-Day, 250 mile money back guarantee; If for any reason you're not satisfied with the vehicle, you can exchange or return for a full refund. At Planet, we have a 5-Day, 250 mile money back guarantee; If for any reason you're not satisfied with the vehicle, you can exchange or return for a full refund. 2000 Toyota Land Cruiser 4.7L V8 SMPI 5 day, 250 mile money back guarantee, NO DEALER HANDLING FEE, Clean CarFax, Heated Seats, Leather, 3rd row seats, Sunroof/Moonroof. Odometer is 43763 miles below market average! Priced below KBB Fair Purchase Price! Clean CARFAX. At Planet, we have a 5-Day, 250 mile money back guarantee; If for any reason you're not satisfied with the vehicle, you can exchange or return for a full refund. 2008 Mercedes-Benz E-Class E 350 3.5L V6 DOHC 24V Priced below KBB Fair Purchase Price! Clean CARFAX. At Planet, we have a 5-Day, 250 mile money back guarantee; If for any reason you're not satisfied with the vehicle, you can exchange or return for a full refund. 2006 Subaru Outback 2.5XT Limited 2.5L H4 SMPI DOHC Odometer is 6033 miles below market average! Clean CARFAX. CARFAX One-Owner. All Books and Keys!. Brilliant Black Crystal Pearlcoat 2006 Dodge Dakota SLT 4-Speed Automatic 4WD At Planet, we have a 5-Day, 250 mile money back guarantee; If for any reason you're not satisfied with the vehicle, you can exchange or return for a full refund. Clean Carfax, 35+ MPG, All Books and Keys!. Silver Ice Metallic 2014 Chevrolet Cruze LS 6-Speed Manual with Overdrive FWD Clean CARFAX. 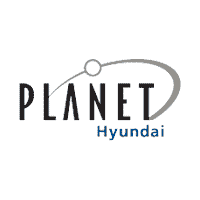 At Planet, we have a 5-Day, 250 mile money back guarantee; If for any reason you're not satisfied with the vehicle, you can exchange or return for a full refund.